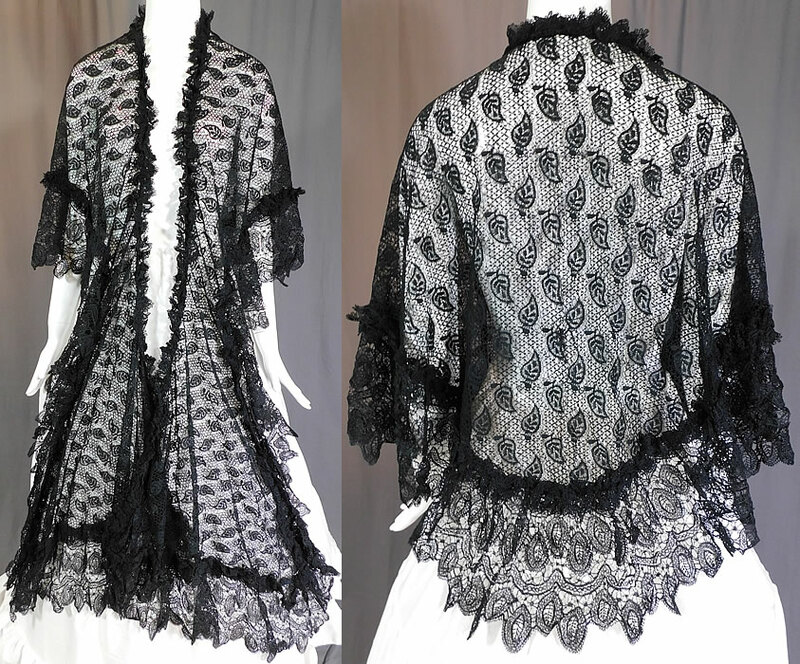 This antique Victorian Civil War era black lace dolman mantle pelerine shawl cloak cape dates from the 1860s. 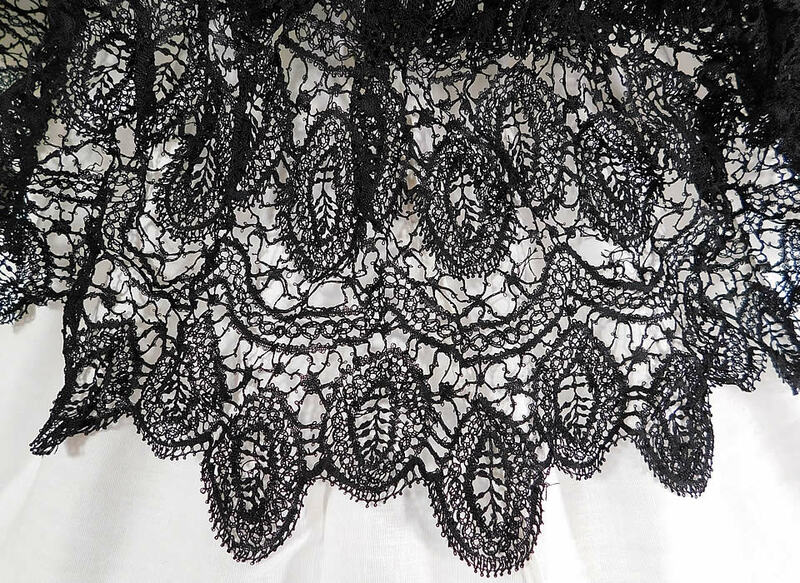 It is made of a black sheer lace fabric, with connecting brides bars, done in an outlined leaf pattern design. 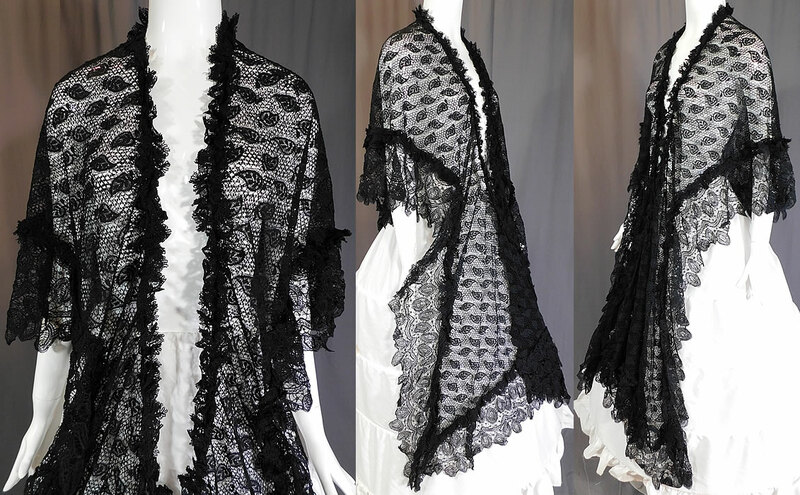 This lovely lace large dolman mantle pelerine shawl style cloak cape has a ruffled trim edging, scalloped lace trim bottom, with long lappet ends, an open front with no closure and is sheer, unlined. The cape measures 40 inches long in the front, 28 inches long in the back and 20 inches across the back shoulders. It is in excellent condition. This is truly a rare and exquisite piece of antique Victoriana wearable lace art!